Very interesting new UFO video from Encino, Califonia. Filmed on the 8th October, 2013. Note if you also saw these lights in Encino around that time we would also like to hear from you. Please view this footage in full screen. Today, Tuesday October 8th 2013, my brother witness an UFO sighting around 3 am in the morning. Location: Encino, Califonia. My brother was awaken by our dog. Thinking a raccoon had entered our yard, he stepped outside to investigate. No signs of any intruders outside. He looked around and finally had the presence of mind to look up and that's when he noticed two bright lights. Too big to be stars but too steady to be plane lights. He immediately went inside and got his mirror less camera. 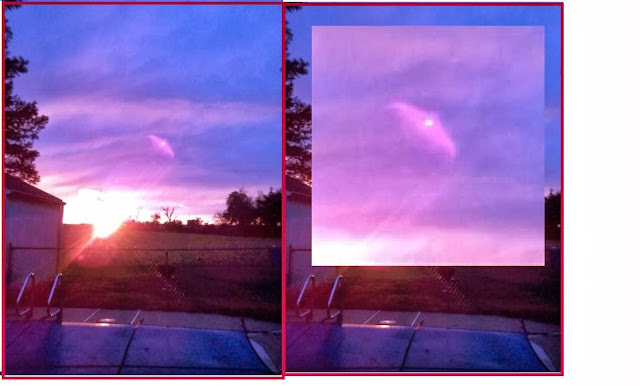 The attached are two videos and a photograph of what he saw early this morning. Right after filming the footage my brother, in disbelief, turn off his camera. Immediately after that a jet plane went over Encino. This was no commercial plane, it sounded like a military jet plane. 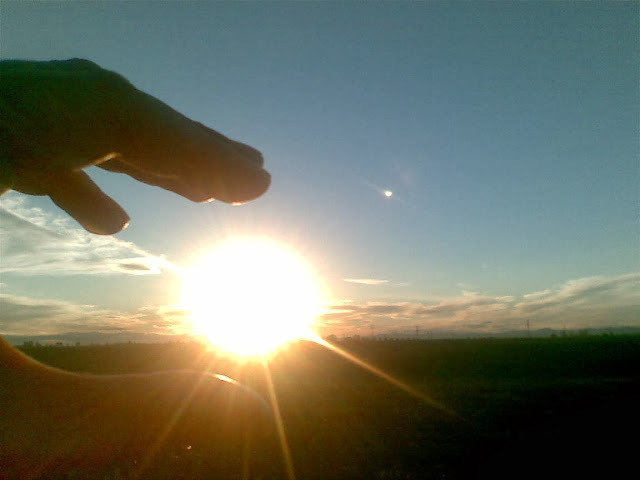 Hi, I do not know what the little hovering ball of light was?. It hovered and 2 km from where this photo was taken there are nuclear power stations ! This incredible UFO photo was sent in by a reader.